A unique opportunity to try all the Tokaj wine region has to offer is coming up in Budapest shortly. ’Tokaj Grand’ will take place on 28 March at the five-star Corinthia Hotel. It is being organised for the first time by Winelovers and promises to be a remarkable event. Most people are familiar with Tokaj because of the sweet, botrytised aszú wines. However, Tokaj also produces some fabulous dry whites and some late harvest wines too. Tokaj Grand will give you the chance try some of these as well as the more famous aszú. In addition to the opportunity to walk around and try the wines (over 200!) 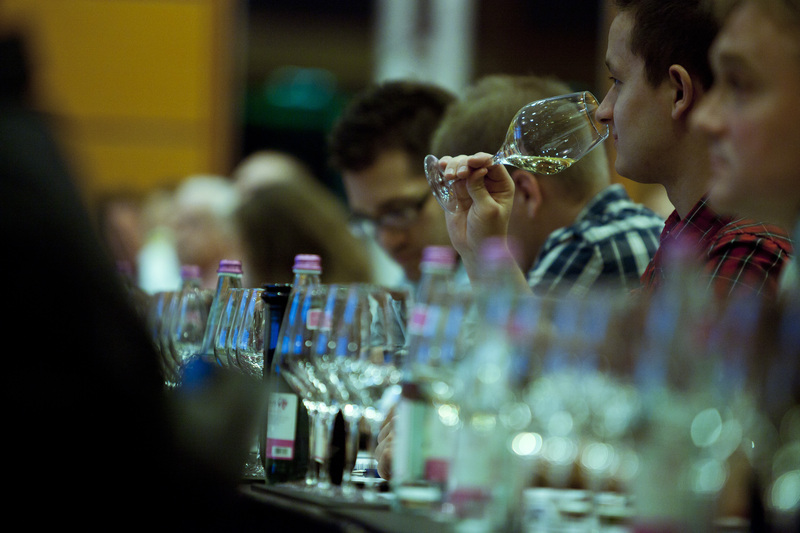 of more than seventy producers, if your Hungarian is up to it, you could also choose to attend one of the eight thematic masterclasses on offer during the day. Of course, you could just go along to the classes in order to try some great wines in a more relaxed environment! You’ll need to buy tickets for these in advance though. 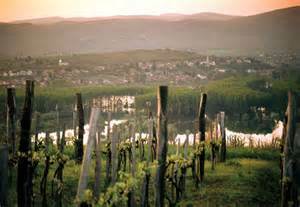 Named as a World Heritage Site in 2002 under the name Tokaj Wine Region Historic Cultural Landscape, Tokaj is probably the most famous wine region outside the country. It lies in the far north of the country, in the foothills of the Zemplén Hills, in fact the historic area extends into the southeast corner of what is today Slovakia. However, its fame long predated this distinction because it is the origin of Tokaji aszú wine, the world’s oldest botrytised wine, which has been produced since the time of Ottoman rule. 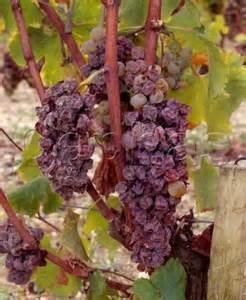 Legend has it the harvest was delayed in Lorantffy Mihaly’s domain due to fears of the Turkish invasion until the grapes had shrivelled and Botrytis had set in, creating the ‘noble rot’. Nevertheless, the pastor Szepsi Laczko Mate turned them into wine and presented the result to the daughter of his lord. Moreover, Tokaj’s system of wine classification is the second in the world, dating back to 1737, when the decree of Emperor Charles VI (Charles III, King of Hungary) declared the area a closed wine region and classified the vineyards based on soil, aspect and propensity to botrytis. Wine has actually been produced in the region and vines have been cultivated here for more than a millenium The name ‘Tokaj’ may be derived from a word for grape in Armenian that came into the Hungarian language in the 10th century, thus giving us an idea of when the settlement was formed. It is also evidence that viticulture was already being practised here at that time. Tokaj wines have been enjoyed by royalty over the centuries. It was famously christened by Louis XIV of France “Vinum Regum, Rex Vinorum” – Wine of Kings, King of Wines and Tokaj wines were a favourite tipple of Queen Victoria. The Russian emperors actually maintained a de facto colony in Tokaj so the supply of wine to the imperial Court could be ensured. 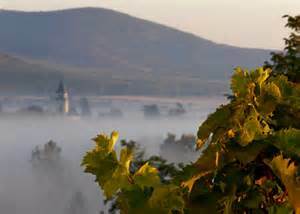 Tokaj boasts unique natural conditions and centuries of wine-making tradition. 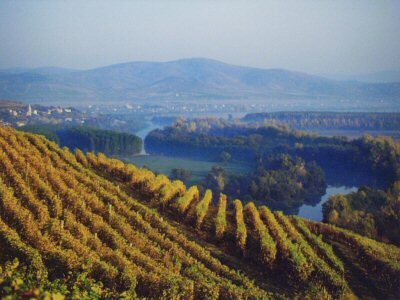 Its local climate helps to create a special terroir; it is bordered by two rivers Tisza and Bodrog whose mists, along with the sheltered slopes on the south-eastern fringe of the Zemplén hills, help to ensure perfect weather conditions to ensure the regular development of Botrytis (noble rot) and the subsequent desiccation of grapes in the long autumns. The vines, planted at altitudes of 100-300m produce the botrytised grapes (aszú), which make the luscious sweet wines for which the region is famous. A labyrinthine network of cellars carved into the mostly volcanic rock provide a constant temperature of around 10-12°C; their walls are covered with a characteristic mould which feeds off the alcohol as the wine ages and maintains a humidity of 85-90%, ideal for the aging of Tokaji wines. The wine region consists of 28 named villages and 11,149 hectares of classified vineyards. Approximately 6000 hectares are currently planted with vines. Tokaj is both a region and a district and contains one protected geographical indication (Tokaj) and one country wine or protected designation of origin (Zemplén). Tokaj is most famous for its delicious amber sweet wines made from the aszú grapes, known through the English-speaking world as Tokay. These grapes impart aromas reminiscent of linden, marmalade and dried fruits, notably quince and apricot. Aszú are individually picked as late as mid-November into buckets (‘puttonyos’) and crushed to a paste. Varying amounts of this aszú ‘dough’ are then added to non-aszú must or wine made from a mix of Furmint, Hárslevelű, Sárgamuskotály (Muscat Blanc Peit Grains), Kövérszőlő or Zéta, and left to ferment for 24-48 hours, stirred occasionally. It is then racked off into wooden casks and left to mature for several years in relatively small barrels in a labyrinth of cellars in the soft volcanic tuff, where walls thickly blanketed with fungus regulate the humidity. The number of puttonyos of aszú added to a 136 litre barrel of must traditionally determined the concentration and the sweetness of the wine. Nowadays, the puttonyos refers to the content of sugar in the mature wine. Aszú ranges from 3 to 6 puttonyos. Aszú conditions may not occur every year, thus a large quantity of dry Furmint is also produced. 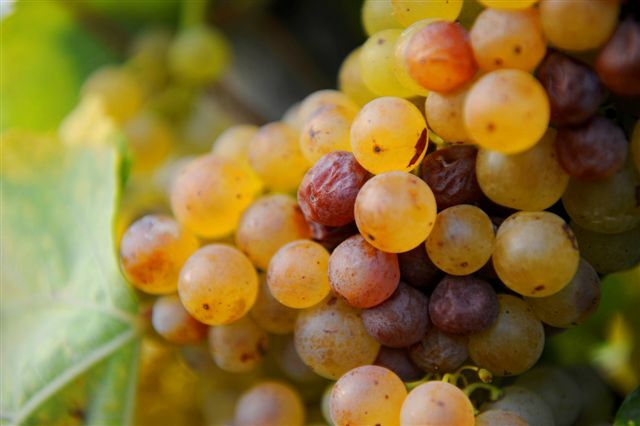 Furmint makes up approximately 60% of production; other grapes grown in the area are Hárslevelű (30%), Muscat Blanc, Kövérszőlő, Kabar and Zéta – these are the only grapes permitted for use in the region. Although Tokaj Aszú is its most famous product, a wide range of types and styles of wine are also made in the region, ranging from bone dry Furmints, through Szamorodni (either dry or sweet), Forditás, Máslás, late harvest wines (késői szüretelésú) to the dentist-friendly sweet Eszencia. Dry wines are sold as varietals: Tokaji Furmint, Tokaji Hárslevelű, Tokaji Sárgamuskotály and Tokaji Kövérszőlő.